The Benedict XVI Memorial Lecture commemorates and celebrates the spirit of Pope Emeritus Benedict’s meeting with members of other religions that took place during his visit to the UK in 2010. This year, the lecture explored the theme of 'Living as a Creative Minority in the UK'. 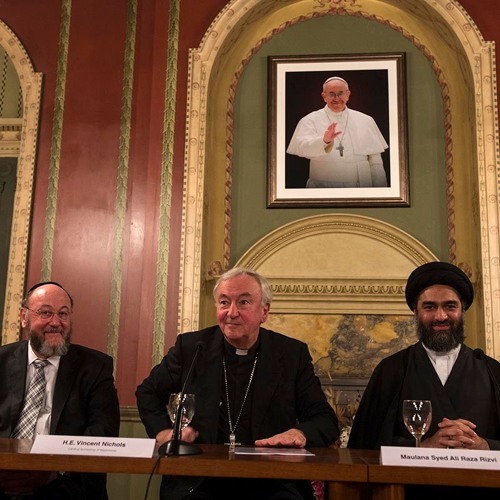 Presentations were made by Cardinal Vincent Nichols, President of the Catholic Bishops' Conference of England and Wales, the Chief Rabbi Ephraim Mirvis and Islamic scholar Maulana Sayed Ali Raza Rizvi. Each presentation addressed the ways in which we live as a creative minority in the current climate.